Be Quick, But Don't Hurry presents the team-building management secrets of the greatest coach of the twentieth century, cloaked in the heartwarming tale of the reluctant protege who learned those secrets in spite of himself. -The team that makes the most mistakes...wins! Full of sound advice and warm reminiscence, Be Quick -- But Don't Hurry! is the management book of a lifetime. "Coach Wooden always got the best out of his players and helped them get the best out of themselves. That's the secret of coaching and of leadership. In Be Quick-But Don't Hurry! 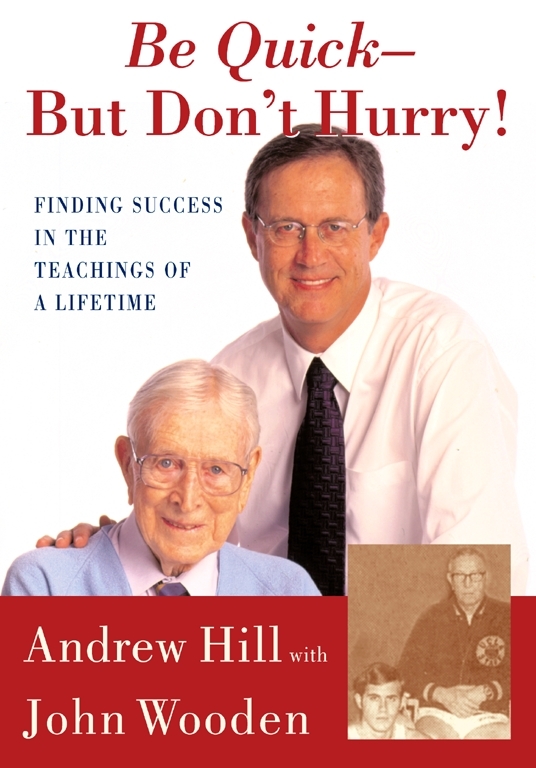 Andrew Hill shares the lessons that made Wooden's teams so successful on the court and his players such successes in life."